I really enjoyed Beyond the Bright Sea because it engaged with me being the same category as the protagonist. 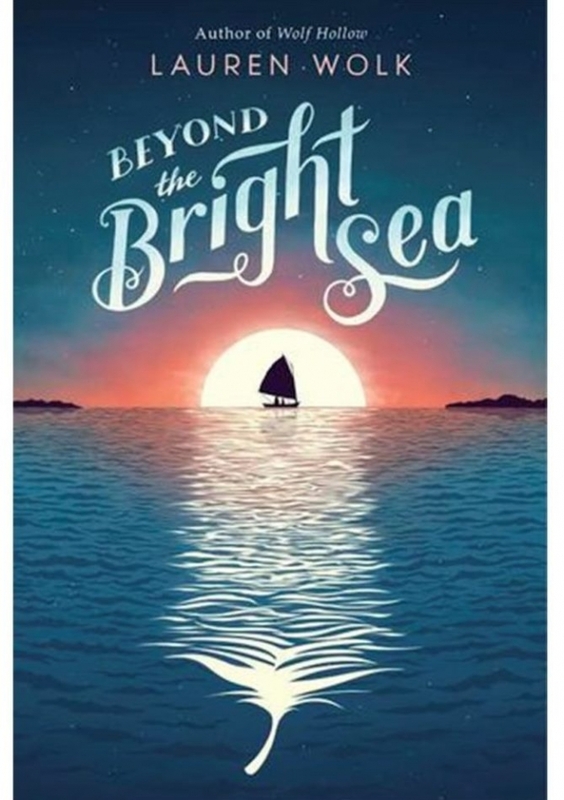 Beyond the Bright Sea is a really interesting read because it portrays different emotions through out Crow's quest to find her family before realising they were all ready there with her. I liked the book and the characters, I got strong images from the book and in some of the faster paced parts of it, found the book hard to put down. When reading it you really get to know the characters. They are easy to understand but at the same time not shallow or empty. I don't really have a favourite part. I like most parts of the book equally as a whole though the book was good. Some parts of the book were quite slow. This does help with character development and scene setting but does make some (not all) parts of the book boring. I found this book very boring. I found that in my opinion there wasn't anything about history in this. However I found the story line was alright. I liked what the story was actually about but I didn't like the way it was said or what actually happened. I think it is a really good story line but the wording and how they phrased everything wasn't very good. One thing I hated about it was that I couldn't work out what was historical about it. I found that it, the book, ended up being very predictable and so was very boring. My favourite part of the story was actually very boring if you were to compare it to other books so I did not like this book. I enjoyed this book. I thought it was different and intriguing with multiple unexpected changes and interesting. Also, I particularly like the fact that the whole way through the book the characters were still developing until the end where you can fully understand the way the character would feel or act to a different situation. This was effective as it gave a mystery to the whole story and makes all the action seem more exciting as you can't know what is going to happen and how it will be handled. In this book it was very obvious that it was set in the past as it never actually states the date it is set but the description of the island and how she lived and her reaction to cars and the fact she has to go to sea to get food and that she uses a boat to get to different places. She being Crow, the main character. The story is from her point of view and it is about her. She was washed up as a baby and she wants to find out where she actually came from. When she finds out that her parents are from an island called Peskiness and they died of a devastating disease she realises she isn't the only one and that somewhere she has a sibling that doesn't even know she exists. This book is about a twelve-year-old girl called Crow. Crow washes up on one of the Elizabethan Islands in a small basket with a letter and a feather birthmark. Crow goes through life being avoided because everyone thinks she came from Penikese. Penikese is an island for people who have leprosy. Crow wants to find out more about her past and gets tangled up in a wild adventure. She makes an enemy who is not who he says he is and may be keeping a person hostage. Is she the only one who can find her mother's treasure? Will she ever meet her real brother? I would recommend this book to people who like adventure books, or people who like to find out more about a time in history. Before I read this book I had no idea about what Leprosy was or about Penikese Island. You do not need to know anything about Leprosy or Penikese before you read this book and you learn a lot about it. I think that Crow is a strong and inspirational character. I found it amazing that she did not get very fazed even though everyone she ever met, except for two people, would not touch her or associate with her. I think the book is very realistic and it feels like you are there. The only bad thing about the book is that I think it took a long time to get to the point and could have all fitted into three hundred pages. I thought the book was interesting and adventurous. It is about a child named Crow. When she was a baby, she was pushed into the sea with a letter with a few readable words and a birthmark. Until she was found by a nice person named Osh. She was properly cared for, along with a lady, Miss Maggie. She had so many unexplainable questions. So she convinces Osh and Miss Maggie to set out for an adventure of a lifetime. I read the book beyond the bright sea! This Book was amazing, it was about this girl named Crow and how when she was a few days old she washed up on an island. She was found by a man who kept her, but as she got older she wanted to discover who she really was and where her family was. The only thing that really let it down was history there was really none that I was aware of. It has a great ending, it's really touching, but also at the beginning it's very slow and for a maybe person with very little attention span may get bored. But it's very descriptive and I love how the cat is named Mouse it was really funny ! There was a lot of scary times but also it was funny! It has such range of emotion and I think that is great, because it's as if your really there with the characters. This was a really awesome book and I hope to read more of her books ! I really enjoyed the book because first of all, the main character is 13 years old, the same age as me which interests the reader more because some of the events and feelings happening to the girl we can relate to. My favourite part of the book was when the girl (Crow) was trying to find out about her past visiting Penikiese (the island where sick people had lived). I thought that the history of the book about sick people, called lepers, was real because there are a lot of people with rare sickness that we don't even know exist. The book had me very interested in history because I would like to know more about the sick people and how it affects their lives. This book made me want to read more of the books by this author because she always adds the history and interesting, unique personalities such as Osh. I really enjoyed this book and loved the idea and storyline. The author did well in manipulating what the reader is feeling to give a feel that the reader is there with the characters. For example, in a part in the book Mr. Henderson (the villain in the story) comes to Crow's (the main character) house, first I felt the fear that Crow was portraying and afterwards, when they came back to their ruined house, I felt upset along with the characters. I really loved the part where Crow met with Mrs. Pelham about her brother, her reaction was so real and so lovely that it truly made me smile, again going back to the fact that the author made the reader feel what the character was feeling. Although I felt like the actual history in the book was lacking, when it did come up I felt though the fact that it was realistic and mirrored what people might think about a person that could have an illness. I did do some research on the topic leprosy because of this book and the fact that I had not heard of this before. I would be interested in reading more books by this author as I did really enjoy this one. However, I was quite disappointed by the ending. I would have really loved if she had at least met her brother Jason almost the entire storyline was trying to find her family, and she didn't really get a happy ending after the story. It wasn't unhappy, but it was like where she was at the start of the book. However, apart from this the book was good and I had a nice time reading it. The novel is set in 1925 on the Elizabeth Islands on the coast of Massachusetts. The main character was avoided by society as a result of people's fears of leprosy. Lauren Wolk's book, Beyond The Bright Sea, is an enjoyable read. The opening of the book isn't as gripping as I'd want it to be, however it interests me enough to carry on reading. The introductory pages are slightly dry and not as gripping as it could be as I don't have much time to connect to the characters presented to me, Osh and the abandoned child they care for, Crow. The book is set in 1920s America, which is a time of division, separation and uncertainty. It was a time when there was fear of new political ideas such as communism and areas of America were still strongly racist and many elements of this book mention the unrest in America but don'tfocus on them. The book has positive messages and role models such as Crow, our very likeable protagonist whose curiosity is very interesting to read. This book isn't very dark or emotionally intense but is quite light hearted, although it does contain some darker elements with Crow trying to find her birth parents. It's a charming book and some cleverly written lines made me chuckle. This book will make you long to escape to the gorgeous Massachusetts Elizabeth islands and the themes of adoption and belonging are sensitively and nicely explored. Overall, I do recommend this book as it is a good book that will get you emotionally invested in the characters and I'd highly recommended by me, though it might be slightly dry at the beginning.